Over the years, I’ve come to appreciate Pilates as a lifestyle choice – providing an opportunity to meet ourselves in the moment and reconnect with our inner energy, life force and commitment to our well-being. And I find that difficult to explain or describe what it is and how it feels to me. I hope this article captures the feeling and give some thoughts on how to lead our students into the space where they can share that experience. Here’s a simplified way I have found helpful to break it down. Start with the groundwork by always building our sessions from a simple foundation –the ABCs of all good movement: Alignment, Breathing, and Conscious Awareness (movement with purpose). Then weave those qualities into each session with a balance of fun, humor and discipline. I like to view Pilates as a form of recreation or “re-creation”. A time to re-create ourselves and get a break from the routine stressors of our lives. I strongly believe that it’s through re-creation that we keep our inner spark alive. I also like to capitalize on spontaneous moments that might trigger a laugh, a flash of inspiration, or an ah-ha experience and not let them whoosh by. Regardless of your teaching experience or background, helping others keep their SPARK. alive and thriving, attracts them back to you and to their Pilates. Because at the end of the day, we can’t really “teach” anyone Pilates, we can only guide them to finding it (and the rest of the goodies that come with it) for themselves. And once they “get” it, they’re usually hooked for life. Here’s what SPARK means to me. Did you know that many studies suggest that more than 60% of communication is conveyed not by our words, but by our tone of voice and body language? This means our non-verbal communication is very powerful! Our body language, facial expression and intention (all offered with positive cueing, being in the present moment, and capitalizing on opportunities) can turn a regular moment into a magical moment. Hold the possibility open for clients to do their best each day, to reach just a little further than they thought they could. Hold the belief that they can do it and never allow negativity, self-doubt or the word “can’t” to be part of the experience. Come with me on a short alpine experience…. Imagine we’re skiing down a mountain in a ski lesson. We both agree that our goal is to go down to the bottom, right? Our ski teacher explains that we must lean into the place we’re going (which is down the mountain) and not to lean away from where we want to go. That’s logical, right? Yet it can be scary to lean down the mountain, it feel counter-intuitive. It requires us to trust ourselves, our equipment, our teacher and often to take the risk try something new and different. It’s not that we don’t want to, it’s just that our minds can get in the way. We might feel fearful of the unknown and yet it’s hard for us to understand that on the other side of fear is well… often nothing horrible, maybe something wonderful. It’s about our mind set. So actually, the most valuable real estate in the world is the 6 inches between our ears! We aren’t our own worst enemy, we are our only enemy and far too often we are really hard on ourselves. When we recognize this is true for most people, then we can be that positive voice for our clients until they adopt that positivity and own it for themselves. Supportive and encouraging words go far to create a bond with our students. Be that person. Step into the shoes that set you apart. Be clear and confident to express how Pilates feels in your body and about the positive experience, feeling and end result we experience. Be in the moment, be present enough to check in with the individual or class and regroup when needed to pull it all back together. From time to time, we all need to be pulled back to our center, our midline, our rhythm and flow, so we aren’t flailing about but in dynamic flow…in freedom of movement, with the musicality of the movement, without fighting the apparatus or gravity. The feeling of being in the life flow, in the life rhythm, and in the breath is exhilarating and powerful and it’s here for all of us. And the best part about our relationship with Pilates is that is can always grow, expand and deepen. I hope your Pilates journey reveals the wonders of the work to you. This video is a short routine focused on Pilates for Low Back Pain. Perfect for novice and beginner Pilates people looking for a self-care routine to do at home. Share it with family and friends who might find it helpful! Enjoy this short video routine that you can do anywhere to relieve neck and should tension. Share it with your family and friends - it's simple and feels really good! Preview The Intermediate 3 Mat! Well, as you head into Intermediate III Mat, you may want to remind yourself that refinement and transitions are all-important at this point. You’ve nailed the basics, but don’t let familiarity create sloppiness. Siix new exercises are added from the previous level whcih allow you to come to your edge with precision and accuracy. Devise new ways to stay engaged and focused and create your own Pilates alchemy as you reach for the moon. Stay present in your body and mind the rest will follow! You really are a pioneer you know! Alright, I am fairly certain we can all agree that Knees Off is an exercise that’s difficult to both do and to teach and one that most people love to hate. Why? Because it’s strenuous, easy as heck to cheat on, and (in my opinion) often misunderstood. That said, we shouldn’t avoid it just because it’s hard. The Knee Stretch Series as a whole is a wonderful study of how to hold the body still while the legs are moving and Knees Off in particular carries with it an even greater challenge due to the fact that the body weight is lifted up. Let’s dig in and take a closer look. We’ll start by putting the exercise in context of the order. The Knees Off is part of the Knee Stretch Series and is one of the “heart and soul” exercises in the system. It comes toward end of the reformer order, just before Running. The “series” is made up of three exercises: Round, Flat or Arched, and Knees Off. At this stage of the workout, the body has been taken through several positions, in varying relationships to gravity and it’s the last major effort called for before we cool down. The most important part of Knees Off is finding and maintaining a connection with the 2-way stretch in this very challenging position. If you’re new to this concept it’s a powerful, yet simple way to feel where your legs and arms are moving from and connecting with that feeling throughout any movement. The arms reaching from the back ribs and the legs reaching in opposition from the lower back. If you can keep your attention and focus on that connection this exercise is much easier. Let’s analyze and look at the position. The starting position is the same as the Knee Stretches – Round Back. The hips are close to the heels, about 8 or so inches, the spine is round; the tail under and the eyes are looking into the body. The arm angle from the shoulder ideally stays the same throughout the entire exercise without the head or shoulders moving forward. Like what you see? 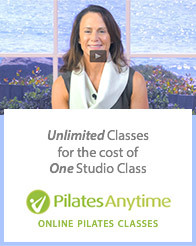 Get access to more tools to support you in your Pilates career or at-home Pilates practice. Come visit my free video channel Think Pilates! 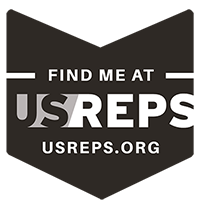 for teaching tips, exercise tips and much more! Download to your iPhone or iPod. Meet associates of Progressive Bodyworks that share the same mission to bring the classical work of Joe Pilates out into the world. Like Progressive Bodyworks on Facebook! Share your success stories, ask questions, stay connected. In these changing times how do you keep your business and yourself inspired? Get marketing ideas, hear from other business owners about what’s working and what’s not; discover new class concepts, tips on building a strong team. I will share my perspective on happenings in the Pilates community, views on trends, articles, books, and other media. Living a Pilates lifestyle is about cultivating your body, mind and spirit! It all matters when it comes to choosing a healthy lifestyle. Empower yourself with tips on nutrition, breathing, posture, reducing stress, and mindfulness! Our audio-based workout program to enable you to become more independent and intimate with your Pilates practice. filed with U.S. Patent & Trademark Office. All rights reserved.